Closeout. 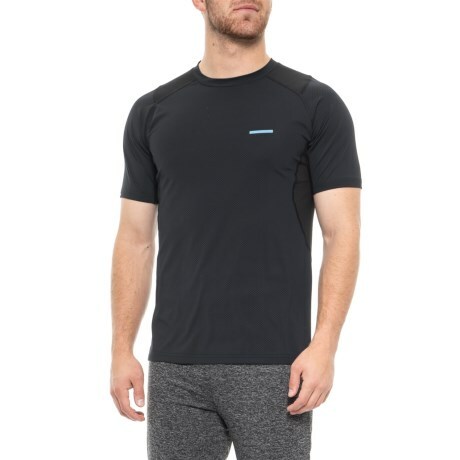 Stretchy performance fabric with MyDry technology makes this MyPakage Black Pro Series Compression T-shirt a must-have for heart-pumping workouts and hot days. Available Colors: BLACK. Sizes: S, M, L, XL.